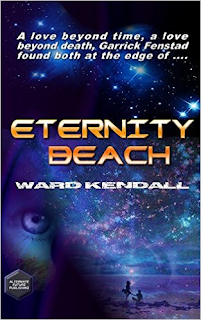 The first novel in the world to deal with the theme of white racial extinction. Set a hundred years from now, the West as we know it is dead. Replaced by a global-wide police state and ruled by the iron-fisted leaders of World Gov, Mankind has been forcibly united under one government, one religion, and one Race. Yet, a handful of whites still exist, among them skoolplex administrator Jeff Huxton. As he watches his son slowly destroyed by a racially-homogenized world that will no longer accept his kind, Jeff comes to meet Karl Ramstrom. 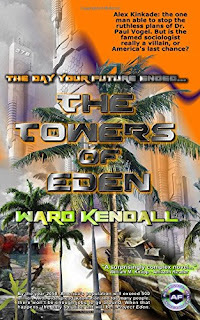 Ramstrom holds out one last hope–but only if they can escape the ruthless government agents bent on destroying them–at any cost. Meet Garrick Fenstad–family man, father, dreamer. 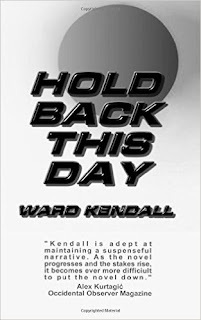 Author of a thousand page novel set to rock America to its core; a novel about a Race War set to tear the country apart and just a little bit too realistic for comfort. Then, on the day he receives an acceptance letter from a New York literary agency promising to find him a publisher, with all the fame and wealth that comes with it, a carload of Mexican gangbangers run him off the freeway into a concrete abutment at 75 mph. ...no matter how many people must die. Beyond This Horizon: Presenting a New Vision For The White Nationalist Movement. 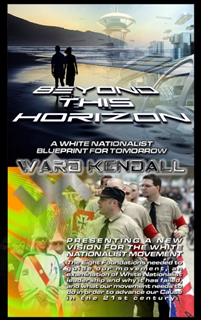 From the Eight Foundations necessary to guide our movement, to an in-depth examination of White Nationalist leadership and why it has failed, Beyond This Horizon explores what is needed to advance our cause in the coming years of the 21st century. This book pulls no punches, and will certainly cause heated discussion–even vociferous disagreement among the many factions of White Nationalism. Yet it's a long overdue book, a much needed self-examination of where we've gone wrong and one that our movement has for too long avoided; a self-examination that never would have been allowed on forums like VNN and Stormfront. A must read for all those wanting to know where our movement is headed.